is the brightest of the Sculptor Group near the south galactic pole. This Group is the nearest neighbor of our own Local Group of galaxies. 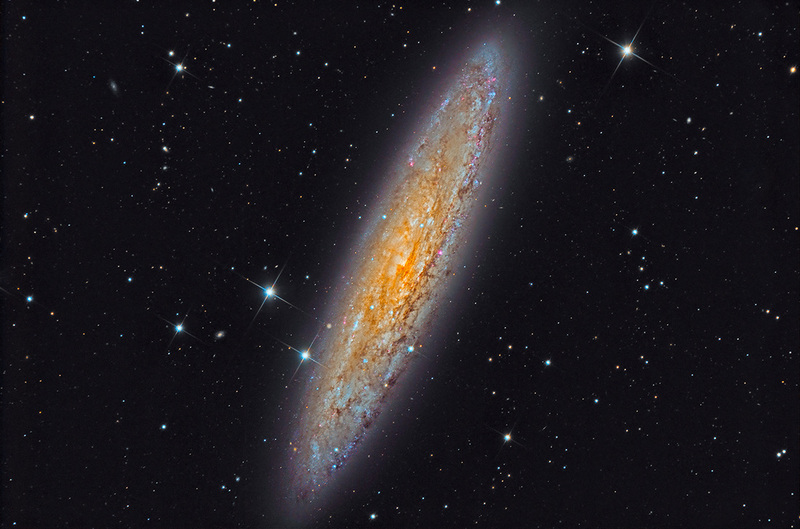 NGC 253 was discovered by Caroline Herschel on September 23, 1783 with '...an excellent small Newtonian sweeper'. This image was published in Sky & Telescope magazine's 2014 Beautiful Universe. Thanks to my friend David Plesko for asking me to process this fine data.